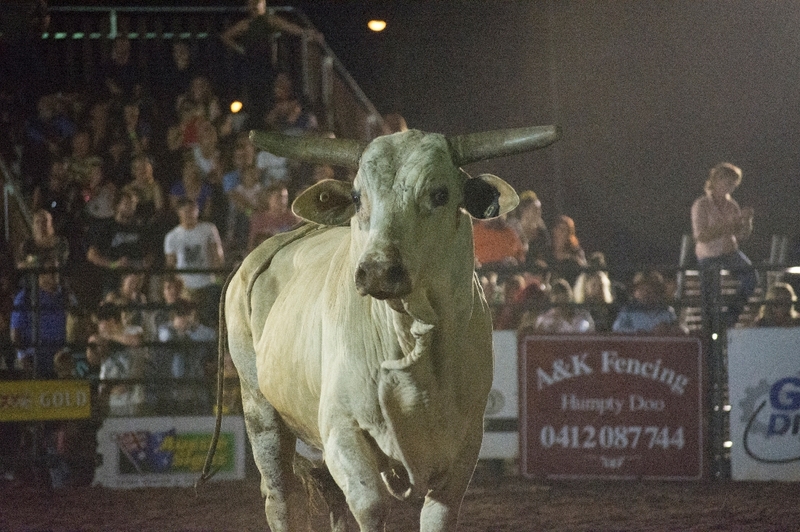 With backing like the team at Fawcett Cattle Company, it is no wonder Noonamah Rodeo hits the mark. ‘The bulls, broncs, bikes and burnouts put on an awesome performance for the crowd’ Jed Fawcett of Fawcett Cattle Company explains of the last 2014 Noonamah Rodeo. ‘They put on a good night and everyone really enjoys themselves.’ The Fawcett Cattle Company’s sponsor bull for the night was the 650kg long horned Vanilla Ice. While two professional riders tried their best to reach 8 seconds on this mighty beast, Vanilla Ice proved a worthy adversary. If it is one thing that is important to the Fawcett family, it is staying local. Starting back in the 70’s, the Fawcett Cattle Company began with one Kenworth truck hauling cattle and buffalo from mustering camps to abattoirs. But in a process that affected the whole Australian industry, the company faced a possible end when BTEC (Brucellosis and Tuberculosis Eradication Campaign) hit the Northern Territory. This government run initiative worked with the local industry to control and eventually remove the killer diseases Brucellosis and Tuberculosis in buffalo across the Northern Territory. In a testament to the true NT spirit, the Fawcett’s continued on with Jed hauling what livestock they could to service those throughout North Australia. ‘Fawcett Cattle Company’s lively hood was buffalo and cattle catching, when BTEC hit the NT, it meant that a lot of buffalo were destroyed which also put a hold on us catching and selling them’ Jed explains. In the years since, the company has expanded with an impressive offering of cattle trucks and earthmoving equipment. In particular, the Fawcett Cattle Company (also trading as Fawcett Contracting and Barkly Transport) was a large earthmoving contributor in the development of the Alice Springs to Darwin AustralAsia railway. It is this commitment to the NT and it’s local roots that make the most unique aspect of this hugely successful and dynamic company. Jed states simply, ‘We are still a family run business based in Adelaide River’. With 2015 already in their sights, Noonamah Rodeo is bound to deliver one hell of a season with such a steadfast advocate like the team at Fawcett Cattle Company. Jed concludes ‘Noonamah Tavern and Dallas Livestock are small family run businesses like ourselves. We always try and support the local businesses…we are already looking forward to next year’s events’.